This year's Oscars might be the trickiest to predict in recent memory. Sure there are some expectations, such Leonardo DiCaprio finally winning Best Actor or relative newcomer Brie Larson taking Best Actress. But these don't seem to be as thoroughly set in stone as some favorites in years past, and other major categories appear to be wide open. However, even if the coming days between this writing and the Academy Awards do bring about some clearer favorites, it's important to remember that the Oscars have always held the capability to surprise us. To illustrate this fact, here's a quick look back at some of the biggest surprises we've seen at the awards so far this century. 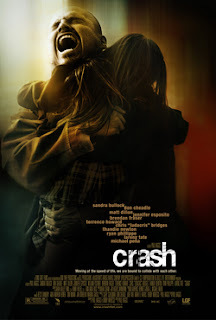 "Crash" made a lot of noise upon its release in 2005, but pretty much paled in comparison to "Brokeback Mountain." The latter was considered by many to be the most impactful film of the year, and we may as well acknowledge that the modern Academy often tends to favor films that address racial, sexual, or cultural oppression in one way or another. Thus, a bold film about a gay affair featuring two major Hollywood actors seemed not only impactful in general but also like the perfect Oscars film. Yet it was "Crash" that took home the hardware, not only for Best Picture but for Best Editing and Best Original Screenplay as well. Just last year, "Brokeback Mountain" director Ang Lee was quoted by Cinemablend as suggesting his film lost because the Academy decided to play it safe. A list at Celebuzz noting some memorable Oscars upsets through the years characterized this stunning win as "Adrien Brody beats everyone." That's about what it felt like in 2003 when Brody's wonderful performance in "The Pianist" beat out the likes of Nicolas Cage, Michael Caine, Jack Nicholson, and Daniel Day-Lewis—all of whom had previously won Oscars. 2013 was a pretty crowded year at the Oscars, but there still seemed to be a genuine heavyweight heading into awards night. An historical biopic about an American president starring Daniel Day-Lewis and directed by Steven Spielberg seemed, as the Oscars outlook at Gambling.com described it, to be "tailor-made for the award." 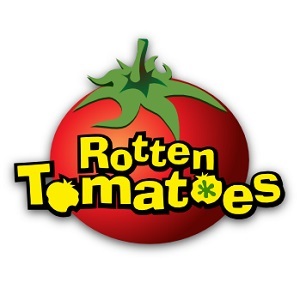 Indeed, the same outlook named it as a heavy favorite heading into the 2013 Oscars. But then "Argo" became something of an unexpected darling, taking the award for Best Picture (though Day-Lewis won Best Actor for his portrayal of Abraham Lincoln). This one probably doesn't sound surprising anymore, and to be fair Lawrence did win the Golden Globe in the same category, so her Oscars triumph wasn't a total shock. But despite the buzz leading up to the awards, it still felt surprising to see her win. There was a lot of excitement about Jessica Chastain's performance in "Zero Dark Thirty"; Naomi Watts was spectacular in "The Impossible"; and if the award were to go to a young actress, some felt that Quvenzhané Wallis may as well have earned it for "Beasts Of The Southern Wild." Lawrence, at the time, was still the girl from "The Hunger Games." Nevertheless, she took home the award and launched one of the biggest hot streaks in recent Hollywood history. You never know when the next surprise is coming at the Academy Awards. Such a shock this year may come in the form of DiCaprio not winning Best Actor, or Jennifer Lawrence coming out on top once again over expected Best Actress winner Brie Larson. It could mean a film like "Bridge Of Spies" taking Best Picture, or Tom Hardy earning recognition for his surprisingly overlooked work in "The Revenant." Whatever it's going to be, we'll find out in less than two weeks! Article by Robert C. Sica. I'm of the opinion that neither Crash nor Brokeback should have won that year, but that's a topic for another day, perhaps. That said, it was a surprise when the latter didn't win. The BP wins for Slumdog Millionaire also felt like surprises given the buzz of other films in the field. I don't think JLaw's performance in SLP was her best performance (although i LOVE that movie), but it was a weak year in that category. Argo and Lawrence were not surprises. I predicted both of them.